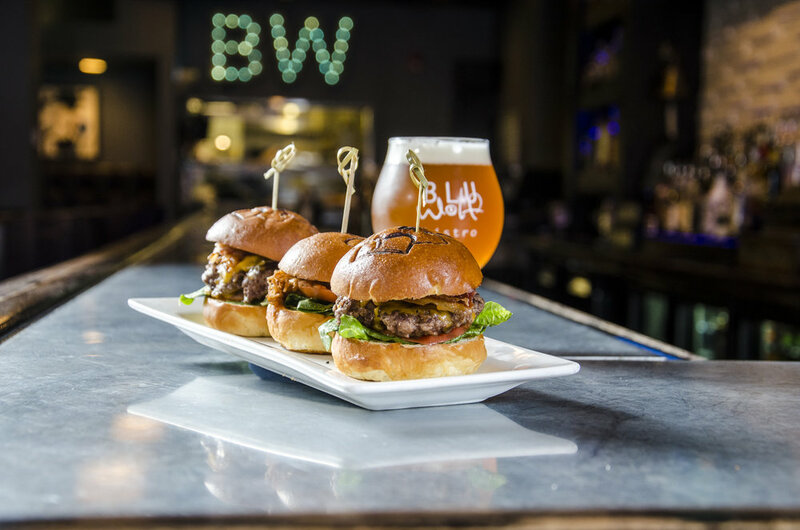 Blu Wolf is known for 'giving class to burgers', its beers, and its extensive menu of playfully-named food. Creative & slick atmosphere on Park Avenue. Open 7 days per week for lunch and dinner. Who is the blu wolf? A family legend that has been passed down in the family of the proprietor of Blu Wolf for 4 generations. If the little children in the family did not finish their dinner, the "Blu Wolf was going to come out of the woods and get them". First told by the manager's great-grandmother, it was only right that the bistro be named after her and this legendary tale.